JERUSALEM An American man who lost his job at a Red Sea hotel in Israel shot dead a chef at the resort on Friday, then was killed himself in a shootout with Israeli commandos, police said. Police spokesman Micky Rosenfeld identified the suspect as William Hershkovitz, 23, of Poughkeepsie, New York, and said his family in the United States had been notified. 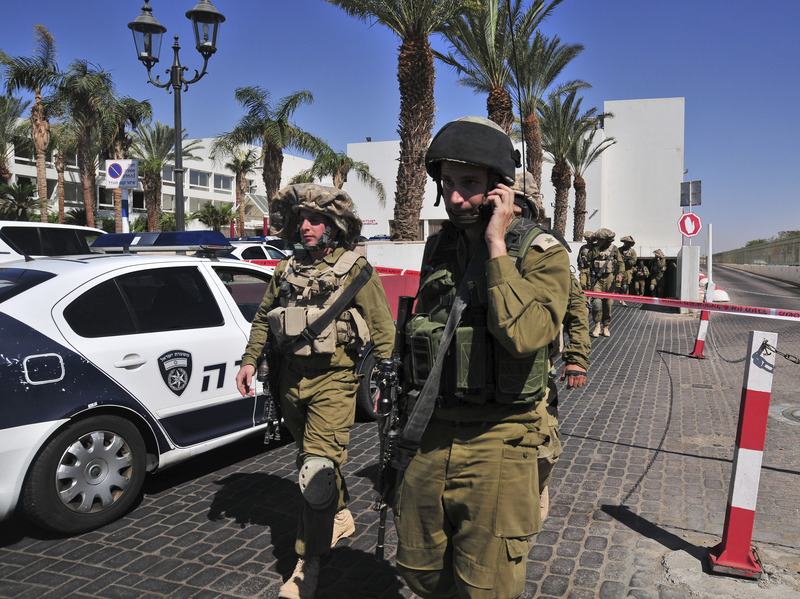 The motive for the attack in the resort city of Eilat was still under investigation, police said. But the head of the Oranim work and study program said it occurred days after Hershkovitz lost his job at the Leonardo Club Hotel. The attacker entered the hotel on Friday, snatched a gun from a hotel security guard and fired several shots, killing the chef, Rosenfeld said. Police and army anti-terror units then surrounded the building and told guests to stay in their rooms. The gunman shot at special forces as they entered the hotel, prompting them to return fire and kill him, Rosenfeld said. Family members, meanwhile, mourned the death of the chef, Abed Armando, 33 in an Arab village in northern Israel. They told Channel 2 TV that he was in Eilat because he wanted to work as a chef. Hershkovitz arrived in Israel about two months ago to participate in the Oranim program, which combines Hebrew study, travel and work at the hotel with a university course on hotel management. Yuval Arad, a program spokesman, said instructors met with Hershkovitz on Thursday following complaints by the hotel staff. "It was decided ... that he will leave the project and return on Tuesday to the U.S," Arad said in a statement, without elaborating. Ofer Gutman, head of the Oranim program, which is sponsored partially by the Israeli government, said earlier that it was a mutual decision to remove Hershkovitz from his job at the hotel, and the program was planning to reassign him to another workplace. Gutman did not give details about the reasons behind the termination but said participants sometimes transfer to other workplaces based on their personal preferences. Speaking in a telephone interview before boarding a flight to Eilat, he described Hershkovitz as "a normal guy" and said "there was nothing that indicated what would happen in the end." Neither he nor Arad could be reached for further comment. Rabbi Yacov Borenstein, Hershkovitz's rabbi in New York, said Hershkovitz was eager to be in Israel to reconnect with his faith and study Judaism. "It's terrible and shocking news," Borenstein told the Poughkeepsie Journal. "He was excited to go to Israel, but unfortunately it didn't turn out very well. Oranim program participant Stas Abramovich, 27, said a number of people had complained about Hershkovitz to the program coordinator. "There was something strange in his smile, but I never saw him as aggressive," Abramovich said. Another participant, who spoke on condition of anonymity because he was afraid of repercussions from the program, said Hershkovitz had issued death threats to other members, but program coordinators ignored repeated complaints. "He would talk to himself, share dreams that he'd had about random killings and mutilations that he did, he would have statements against Arabs or Nazis or terrorist type movements," the participant added. Michal Bouaron, a guest at the hotel, told Channel 2 that police ordered guests to stay in their rooms during the incident. Later, police announced that it was safe for guests to leave their rooms. "There was a lot of tension," Bouaron said. "Life goes on ... We won't let this ruin our day and our vacation." The hotel was fully booked, Israeli media reported, because of the Jewish holiday of Sukkot, when many Israelis take vacations. Eilat, with attractive Red Sea beaches and hot, dry weather, is a favorite getaway spot.